The following information was provided as a Press Release from Daniel Defense. 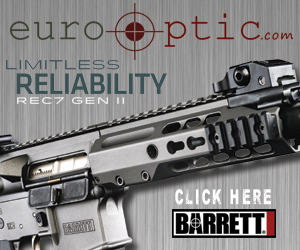 Black Creek, GA- September 22, 2014- Daniel Defense, engineering and manufacturing the world’s finest firearms, precision rail systems and accessories, today announced the expansion of their exclusive finishes, Mil Spec+™ and Daniel Defense Tornado™, to additional models. HSGI – TACOs – Now better than ever! SWANSBORO, NC – 26AUG2014 – High Speed Gear is pleased to announce of an improvement to our TACO® line of pouches. All TACO® pouches that utilize an injected molded bracket will have the following improvements implemented. Each bracket is now 1/8th inch longer creating higher feed ramps for easier indexing and reinsertion of magazines. Increased the size of and beveled the eye hole for easier tension adjustment. The bracket is one of the most crucial and unique parts of our TACO® pouches. It keeps the pouch open when empty and allows the user to index magazines for easy reinsertion. By improving the bracket, it will allow for improved performance. Implementation was made across the board and the polymer material utilized retains the same strength as previous versions. The following is a press release from Daniel Defense.